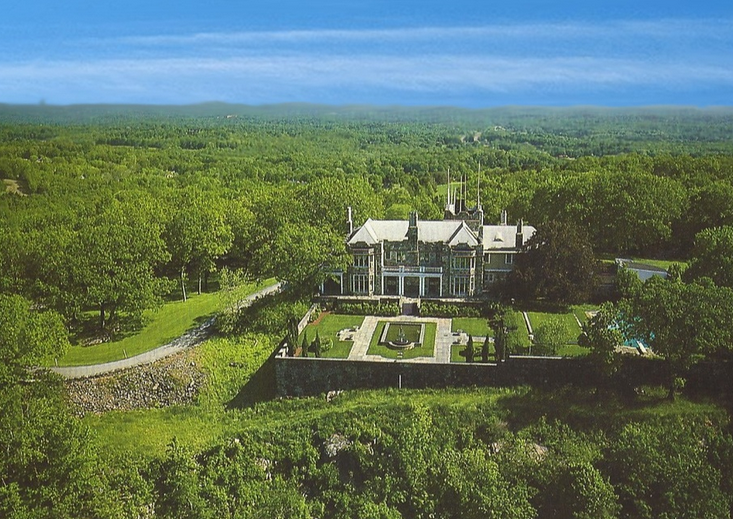 This Gothic Revival style “castle” is located at 33 Charles Road in Mount Kisco, NY and is situated on over 51 acres of land. Trock-faced granite mansion was built in 1904 with imported stones from all 48 contiguous states. It features 6 bedrooms, 6 bathrooms, formal living & dining rooms, gourmet kitchen with butler’s pantry, library, home theater and much more. Outdoor features include a gated entrance, formal gardens with fountain, English croquet court and a swimming pool. It is listed at $20,000,000.